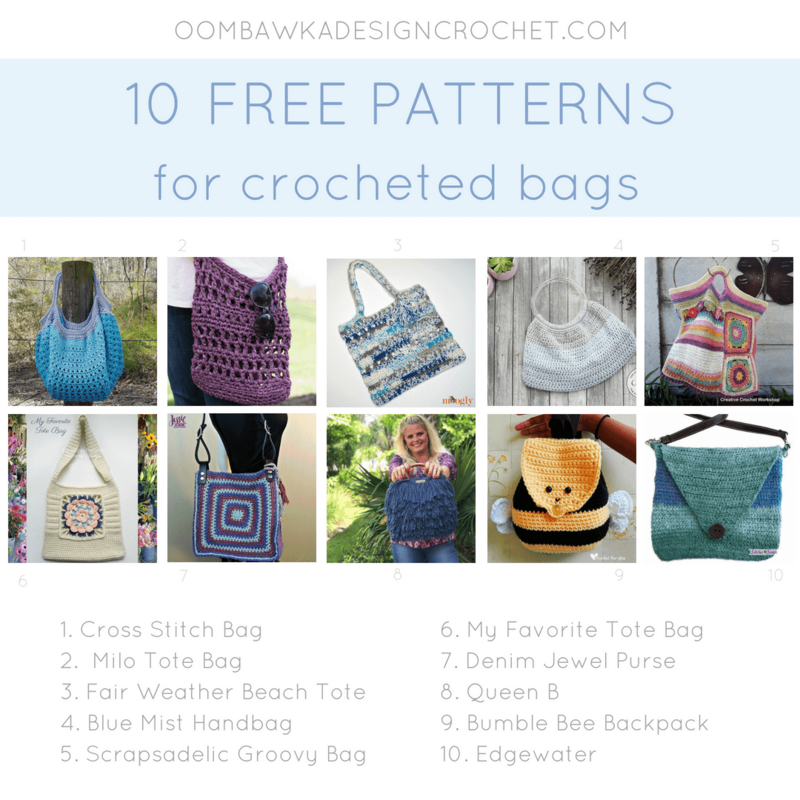 This week I have located 10 free crochet bag patterns for you to try! This crochet pattern roundup includes many different kinds of bags, including tote bags, handbags and even a bumble bee backpack for the little ones! 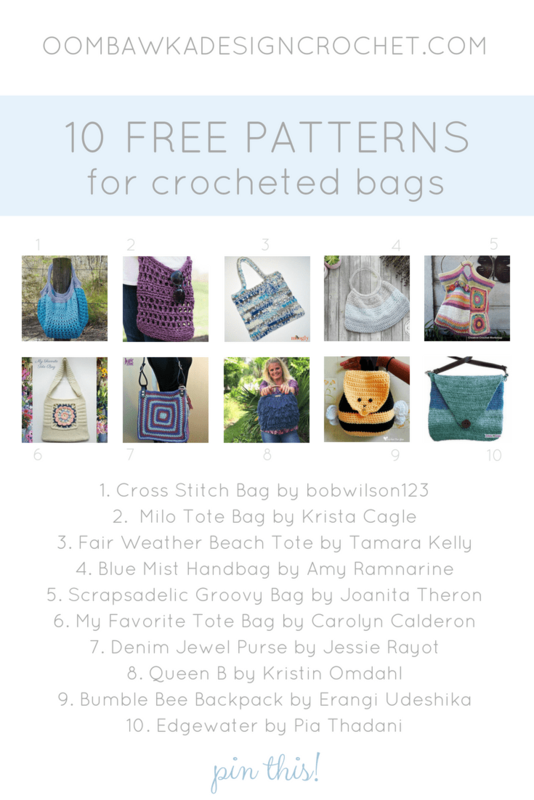 Browse this fun collection of 10 Free Patterns below and click the title of the project you want to make to be taken to the written instructions.